An Absinthe Spoon is the essential Absinthe accessory to perform the Absinthe ritual the traditional way. It is as well the perfect accessory to start an emotional relationship with the Green Fairy. In this section you can choose from a large selection of traditional designs. 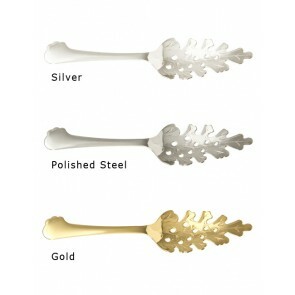 Absinthe Spoons, which one should I buy? 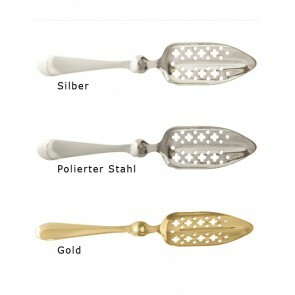 As we love the aura of the past, we prefer spoons with a traditional design. 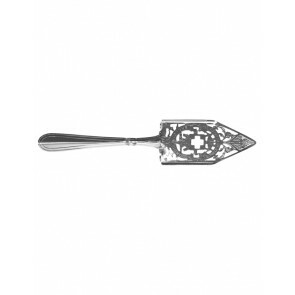 A very beautiful spoon is the Feuilles Absinthe Spoon with its wormwood leaves design. It is a reproduction of a 19th century original. Another good buy is the Absinthe Spoon Classic. 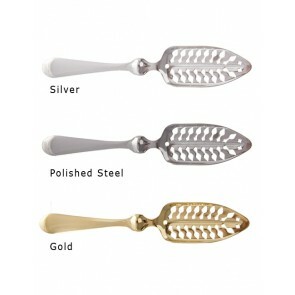 It is made of durable stainless steel and has the best price-quality ratio.